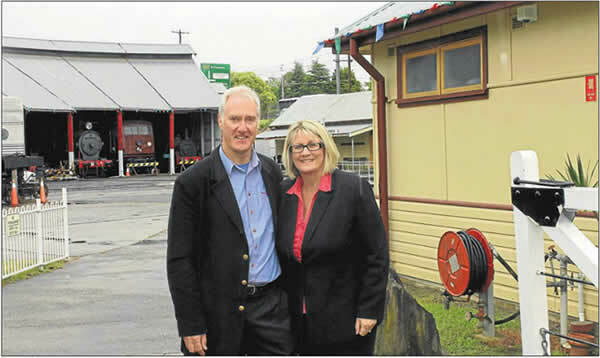 railway heritage museum, Keith Ward, with Federal MP Louise Markus. Federal Member for Macquarie Louise Markus has announced more than $3000 in federal grants to support Mountains projects commemorating the service of’ Australians during World War I. The Valley Heights Locomotive Depot Heritage Museum has received $2133 towards a railway specific World War I honour roll acknowledging I? Springwood locals serving as railway employees during the war. And the Katoomba RSL sub-branch has received a $1300 grant towards a display cabinet for World War I medals and awards of local residents. Page Updated: Wednesday, 07-Nov-2018 13:34:05 PST.